At the Penultimate, the Maroons focused on individual athletes getting their personal marks up in order to qualify for Nationals. Despite that, they still competed well as a team and as individuals. On an overcast and rainy day, the Maroons had home field advantage for the last time this season as they competed in the Chicago Penultimate. Instead of the traditional dual or team meet competition, at the Penultimate the South Siders focused on individual athletes getting their personal marks up in order to qualify for Nationals. Despite that, the Maroons still competed well as a team and as individuals. “I think the men’s team did great; I was really happy with the results. 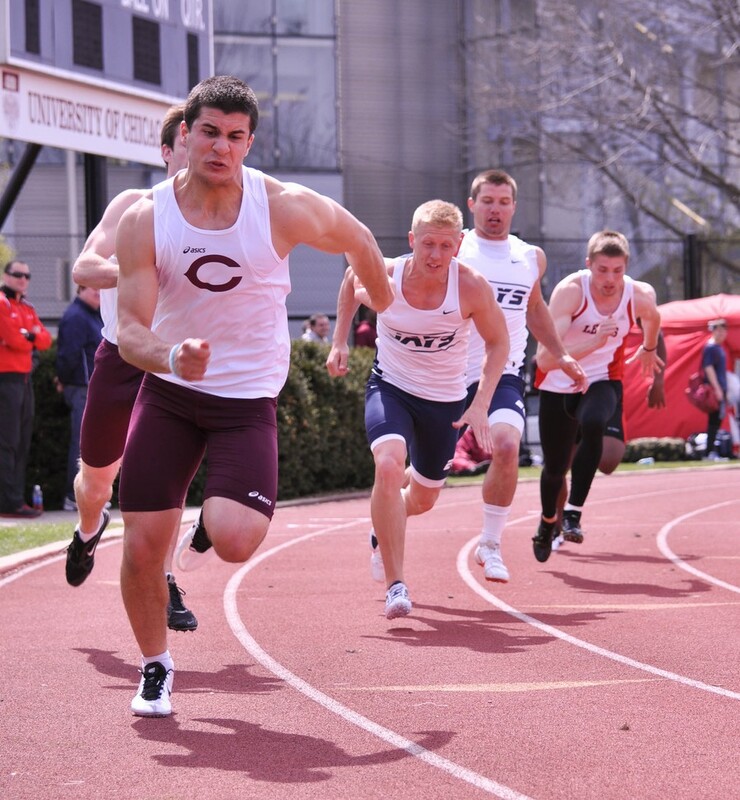 [We had] a lot of PRs and season bests,” third-year Demetrios Brizzolara said. With the help of so many personal and season bests, the Maroons put together eight top-three finishes across all events with more than three competitors and placed many more athletes within the top five. Brizzolara topped the list in the 200-meter dash with a time of 21.84 seconds. First-year Renat Zalov and fourth-year Brian Wille placed first and third respectively in the 800-meter run with times of 1:57.34 and 1:59.09. Third-year Gregor Siegmund placed second in the 1,500-meter run with a time of 4:07.99 while fourth-year Brian Schlick and second-year Samuel Butler took first and third in the 5,000-meter run with times of 15:12.42 and 15:33.39.In throwing events, third-year Conner Ryan posted a 42.94-meter throw in the javelin and fourth-year Daniel Heck threw 51.57m in the shot put. In addition, other athletes were able to reach mark requirements for the North Central Last Chance that takes place this Thursday and Friday. As the season comes to a close, extra opportunities to post high marks can only benefit the team. “It was good to get a [personal record] in the hammer yesterday. I met the standard for the Last Chance meet at North Central, so it allows me to compete in the event one more time,” fourth-year thrower Nick Rockwell said. Rockwell threw 43.11m in the hammer. With only the North Central meet remaining, the Maroons have one more chance to qualify athletes to Nationals. Considering that, despite the poor weather at the Penultimate, the Maroons were able to put up good numbers, some have hopes for strong performances on Friday. The Maroons have less than two weeks before any qualifiers travel to Claremont, CA for the NCAA DIII National Championship, and the team knows time is running out.